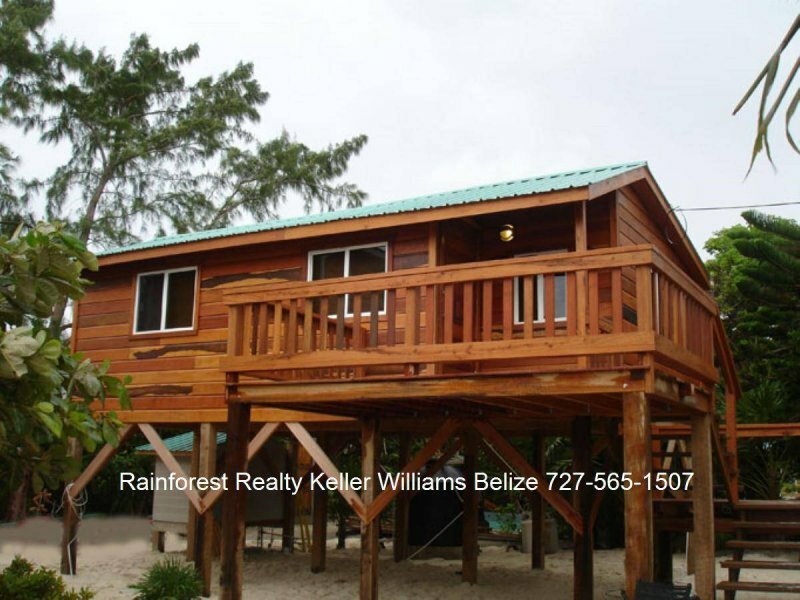 US$ 549,000: Belize Oceanfront Homes for Sale on Caye Caulker Island. 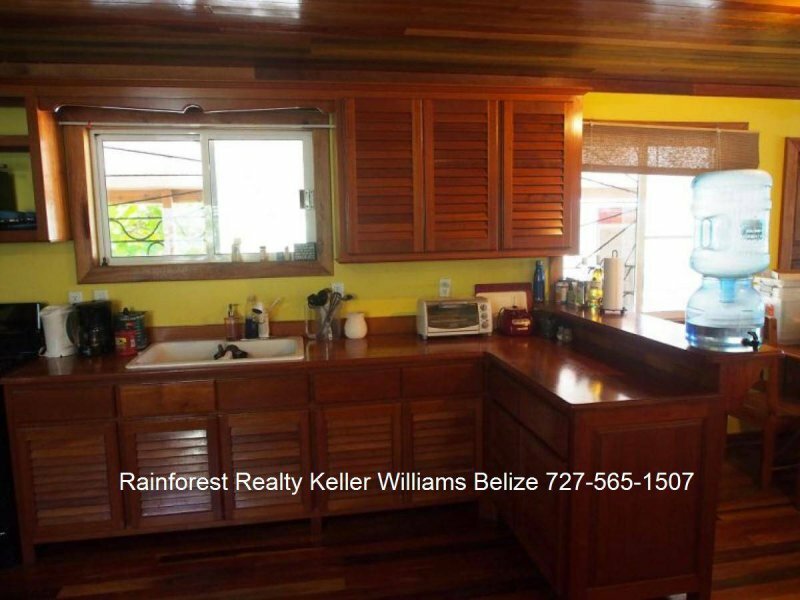 This is an ideal offering to purchase and earning income while living in your own beachfront home. Contact us for a showing. 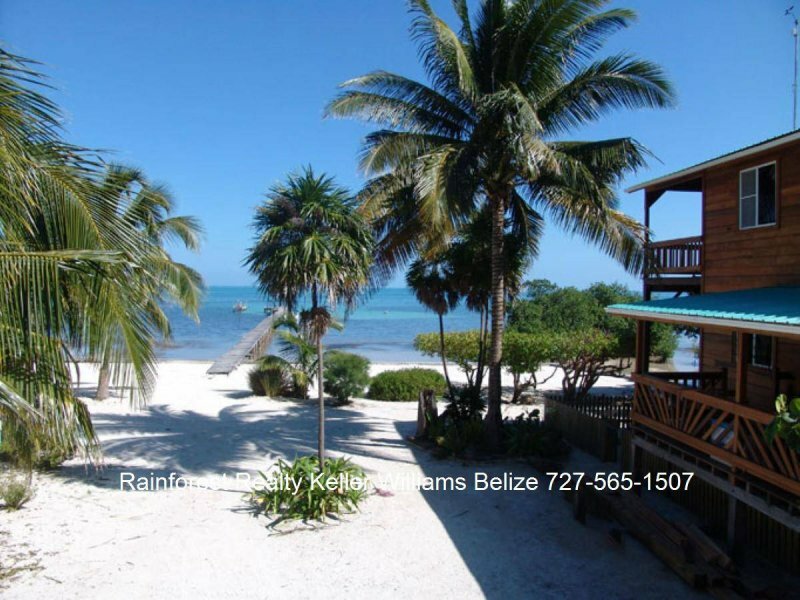 Caye Caulker Oceanfront Homes for Sale with stunning views, ideal location and income potential. 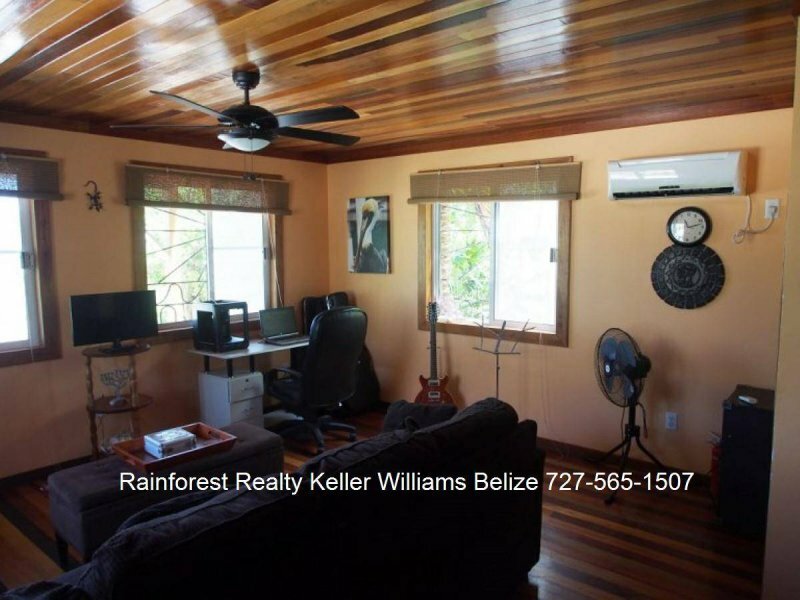 This is an ideal offering to purchase if earning income while living in your own beachfront home is your desire here in Belize. 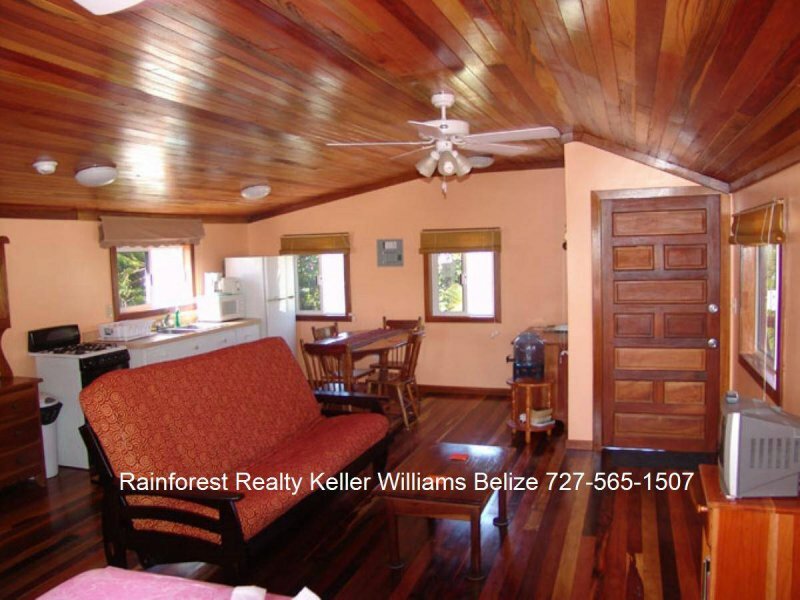 This property has a 2 Bedroom home with 1.5 baths and a separate vacation rental, all on the same property ! 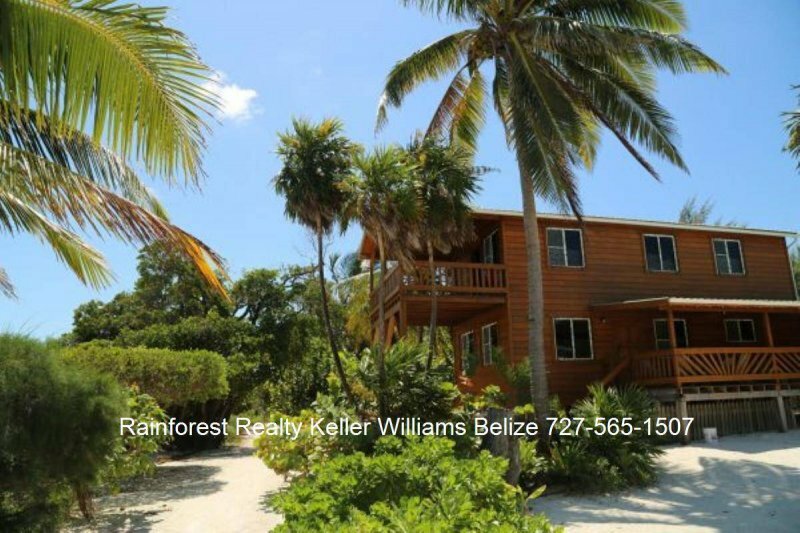 Both homes are sold turn key and are situated on a large 66 foot by 121 foot lot, on the desirable East side of the Island, facing the Barrier Reef. 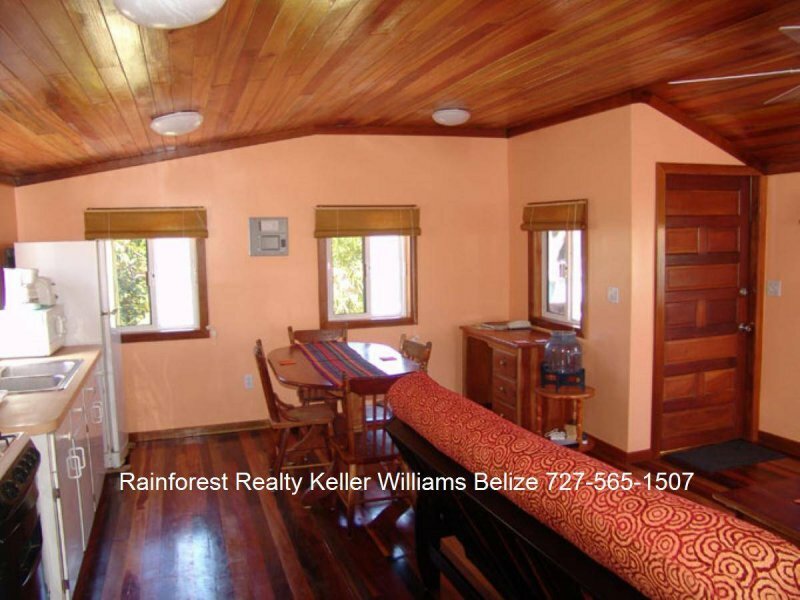 This property has been fully renovated in 2012 and is landscaped with an abundance of tropical plants. There is a pier that offers the perfect setting for watching the sunrises, fishing or swimming in the ocean ! 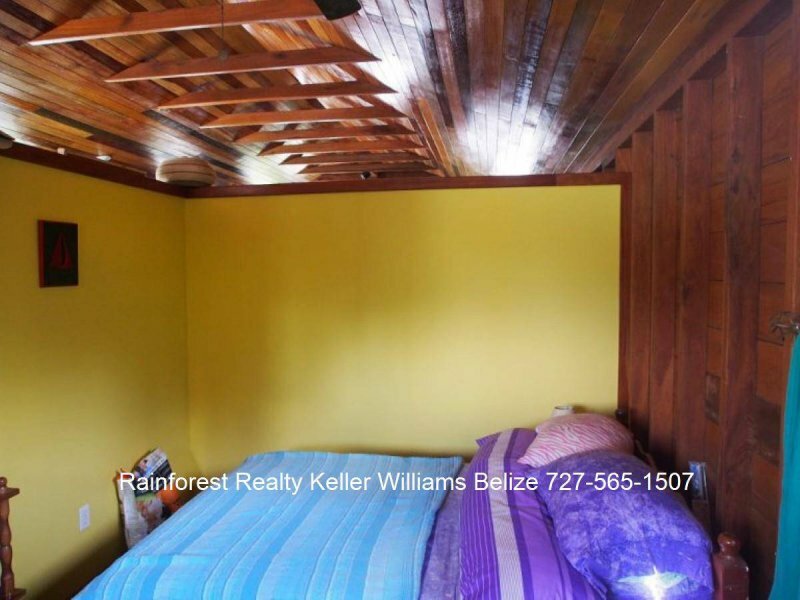 This property has easy access by an all weather road, and a quick golf cart drive from the airport. Both homes are built to US code. 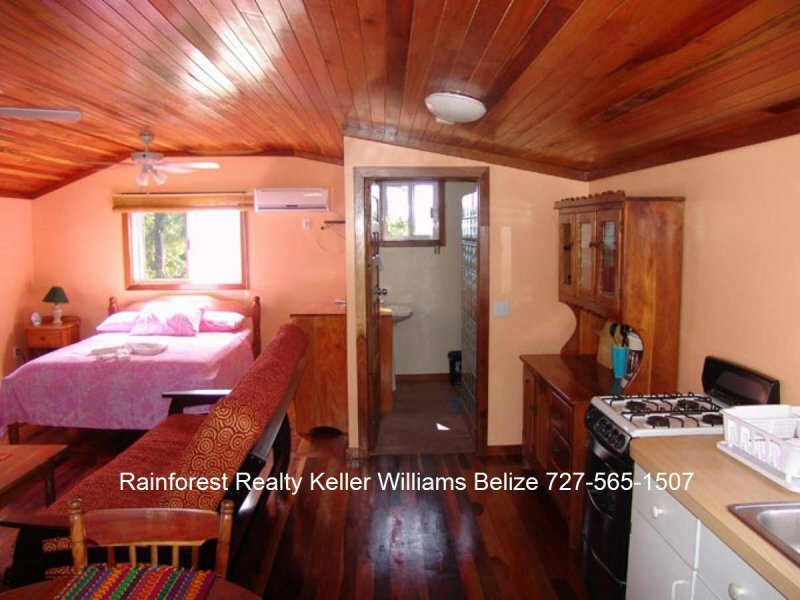 The Beachside Cottage is a freestanding spacious studio apartment with a full kitchen. 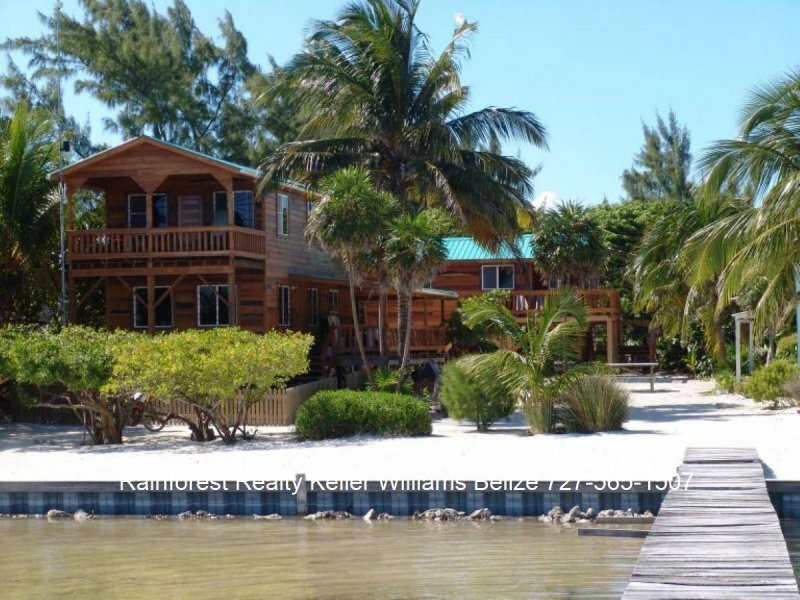 Guests love the quiet location and excellent swimming and fishing while still being able to bike / walk to the village center in about 5 /10 minutes. The cottage has a strong rental history, with guests who return annually and reservations are currently on the books. 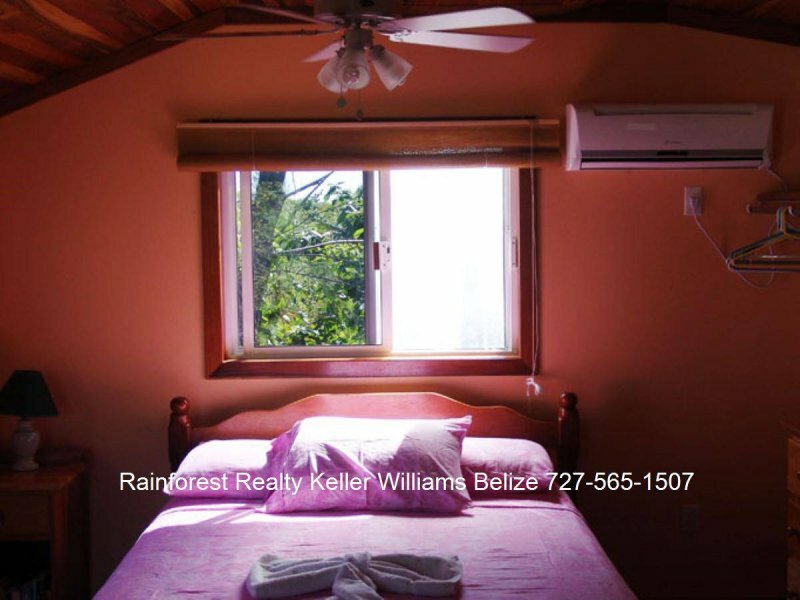 The cottage is currently co-managed with a local rental property management company. That relationship can continue, a new owner could take over full management, or the management company could take over fully. It rents well year round, not just during high season. The cottage is currently on village power only. 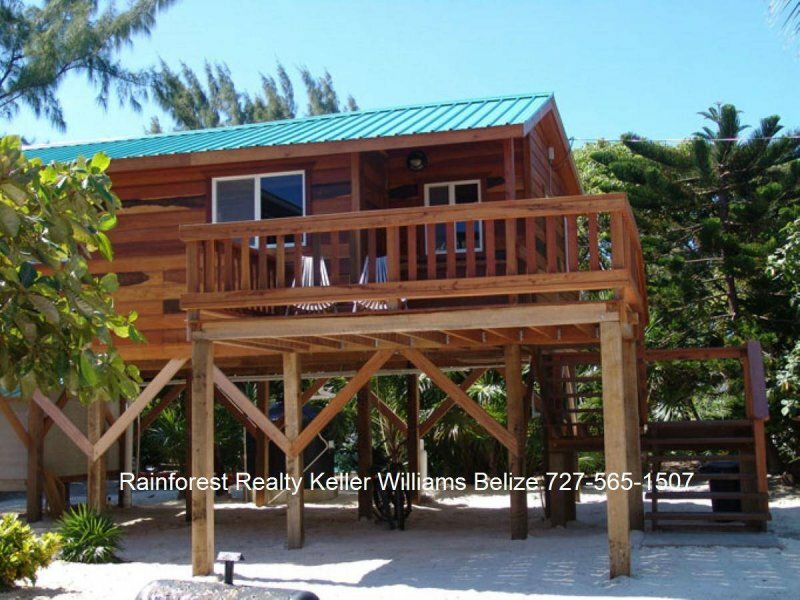 Sunrise beach house can be easily added to the rental license to generate income for part-time residents. Either home could be converted to a long term rental. 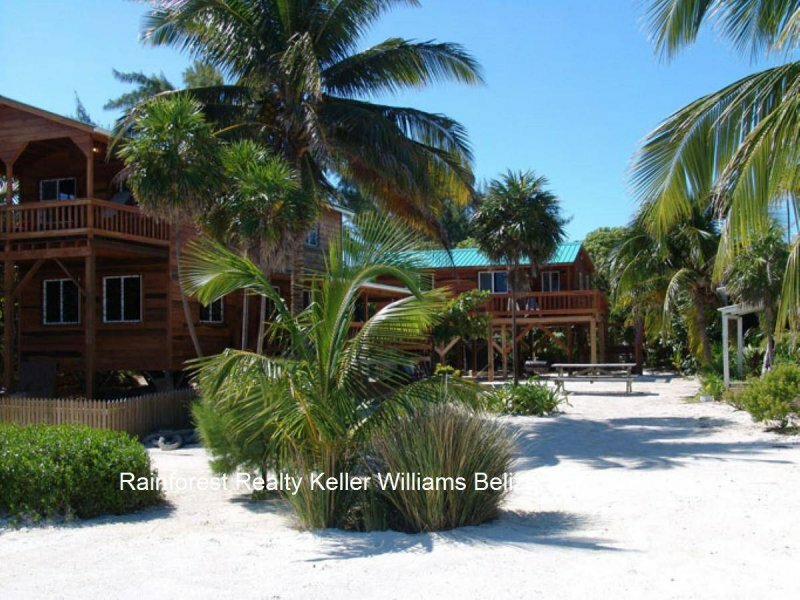 Caye Caulker Island is a top choice for tourists , with its sandy roads, size ( it is 2 miles long) , easy access either by water taxi or airplane from the international or municipal airport. The island itself has a quaint feel to it, with friendly locals and expats to engage with. This island sits a mile from the world’s 2nd Largest barrier reef , offering the best in snorkeling and scuba diving, deep sea fishing. Markets, beach bars, churches, and schools make it a wonderful place to call home either year round or seasonally. 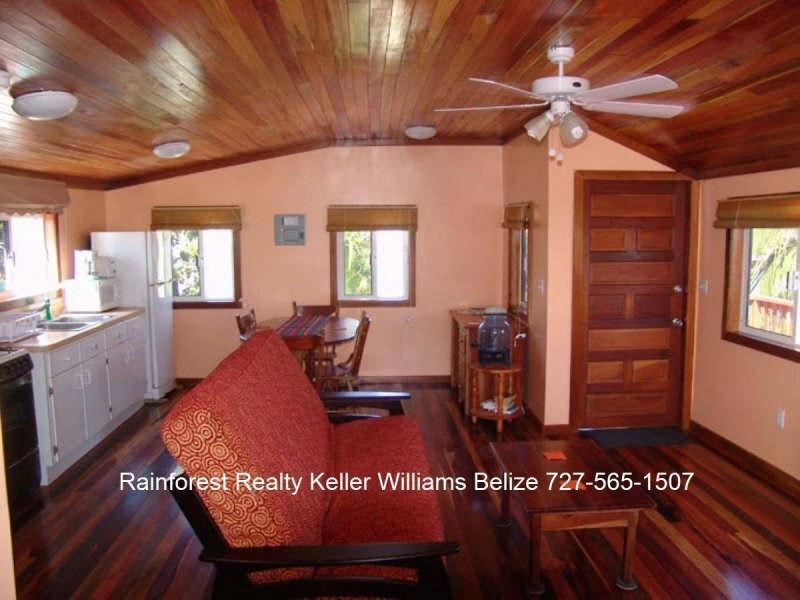 The location of this property adds great value to it as there are few free-standing homes on the eastern front of the island which catches the trade winds, has gorgeous views of the sunrise, is the least buggy and provides direct access to the reef. The owner offers financing up to 50% at 7% for five years.